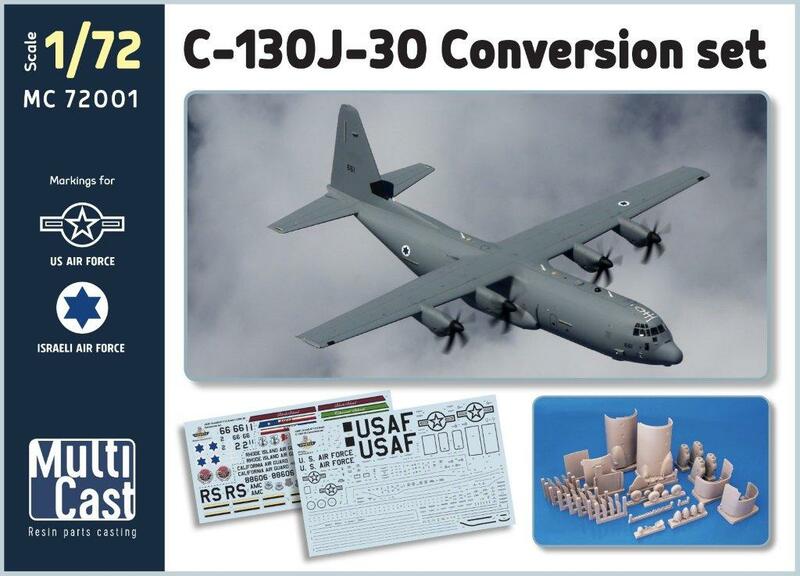 Lockheed C-130J-30 Hercules Conversion Set USAF and IAF (designed to be used with Italeri kits) (ex Wingman with additional parts) This highly detailed conversion set enables the model maker to convert any Italeri C-130 in a stretched C-130J-30. 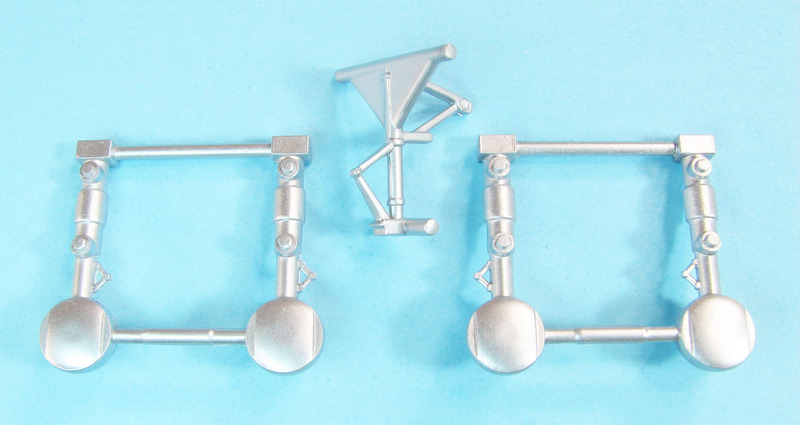 Our set contains four fuselage plugs, a revised cargo ramp, a new cargo floor piece, new antennas and ECM-equipment, finally correctly shaped engines and prop blades and new tires in resin. 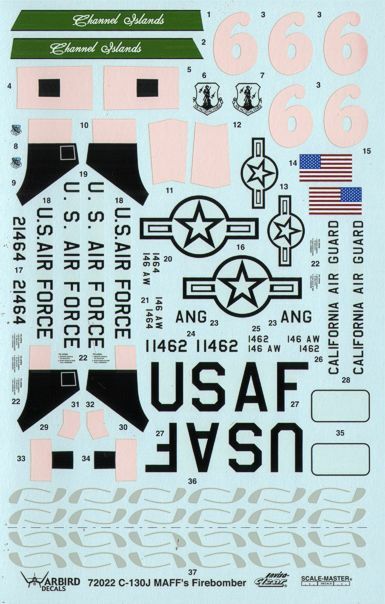 Our decals feature several different options for one USAF or one US ANG C-130, as well as markings for one IAF aircraft - stencils for one airframe included. 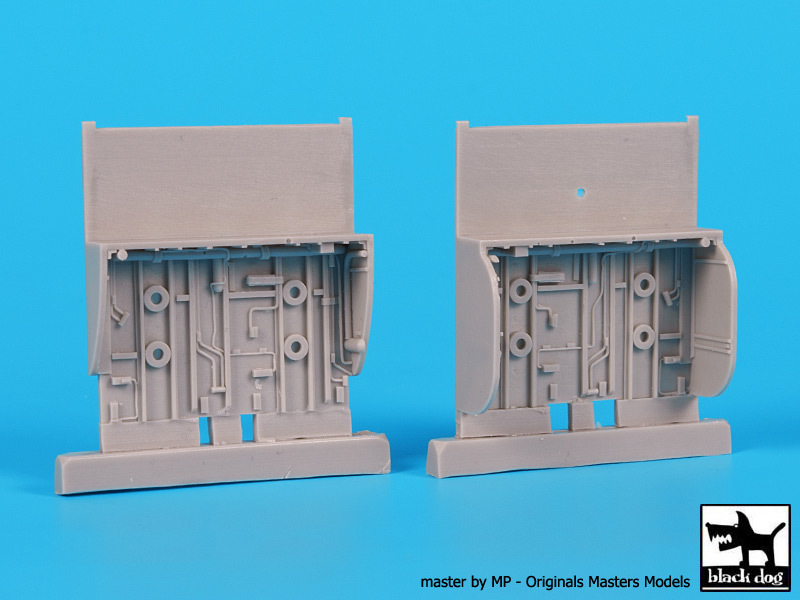 For the experienced model maker only! 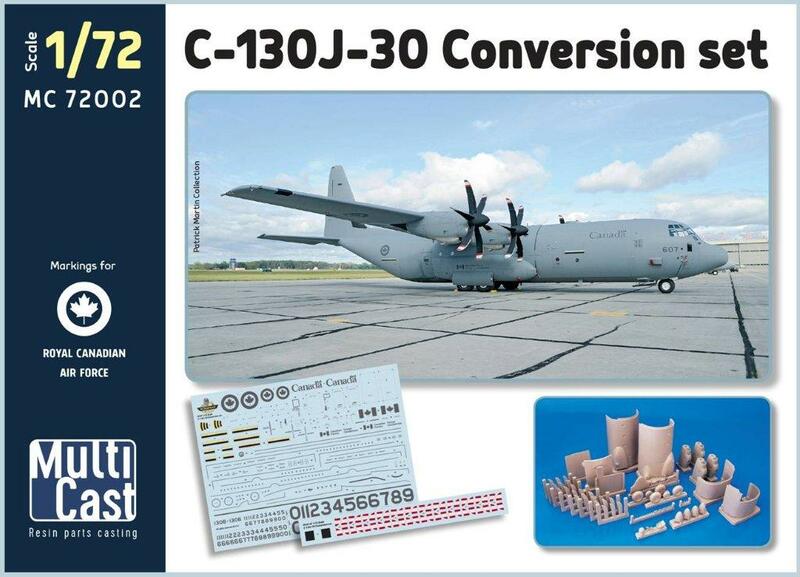 Lockheed C-130J-30 Conversion Set RCAF (designed to be used with Italeri kits) (ex Wingman) This highly detailed conversion set enables the model maker to convert any Italeri C-130 in a stretched C-130J-30. 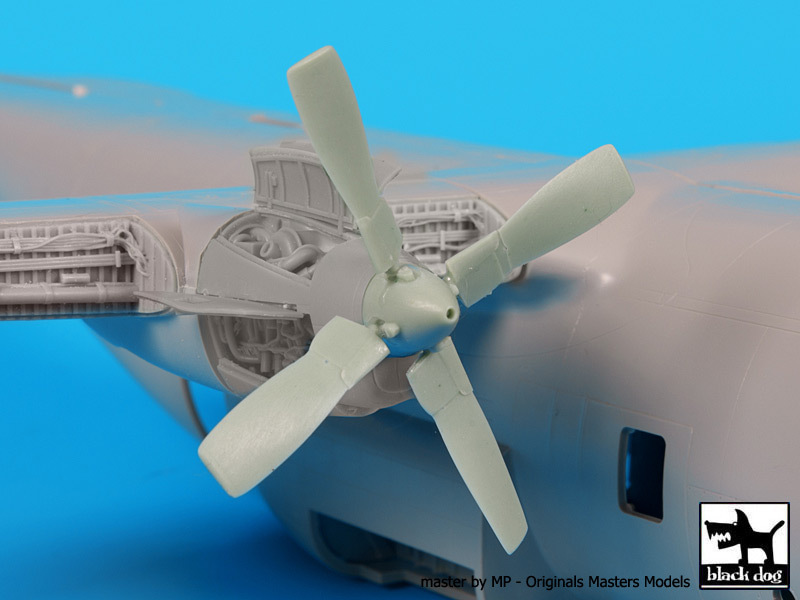 Our set contains four fuselage plugs, a revised cargo ramp, a new cargo floor piece, new horse-shoe antennas and additional ECM-equipment, finally correctly shaped engines and prop blades and new tires in resin. Our decals feature several options for one Royal Canadian Air Force aircraft - stencils for one airframe included. 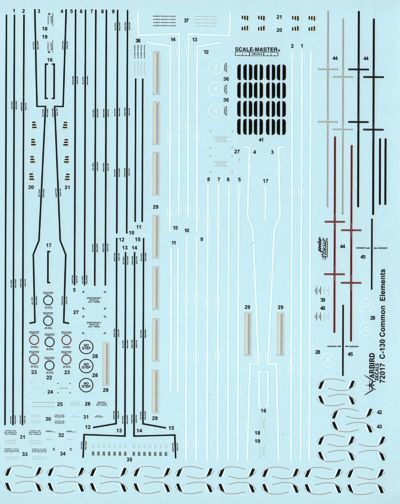 For the experienced model maker only! 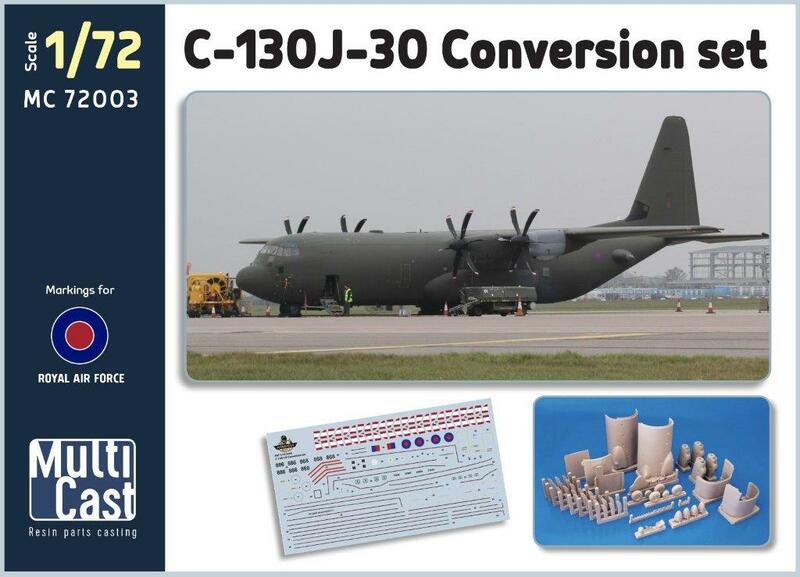 Lockheed C-130J-30 Conversion Set RAF (designed to be used with Italeri kits) (ex Wingman) This highly detailed conversion set enables the model maker to convert any Italeri C-130 in a stretched C-130J-C4 of the RAF. 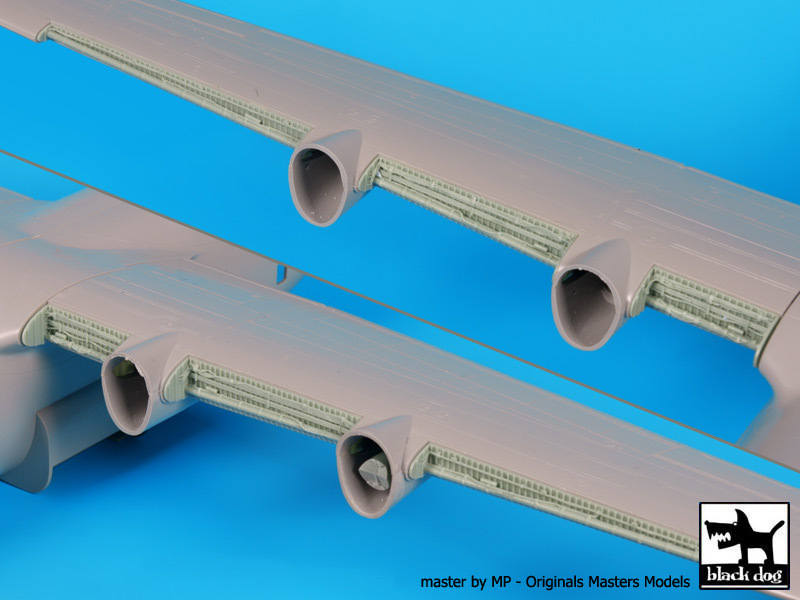 Our set contains four fuselage plugs, a revised cargo ramp, a new cargo floor piece, new antennas and ECM-equipment, finally correctly shaped engines and prop blades, new camera-housings attached to the rear of the fuselage as well as tires in resin. 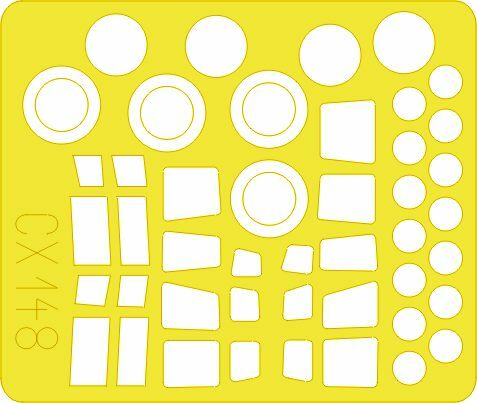 Our decals feature several different options for one Royal Air Force aircraft - stencils for one airframe included. 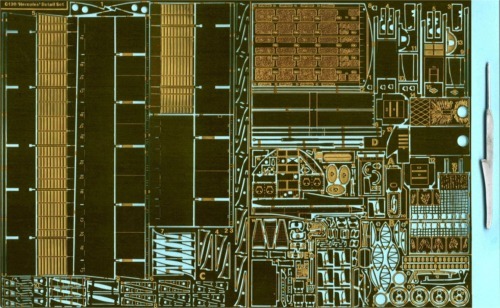 For the experienced model maker only!